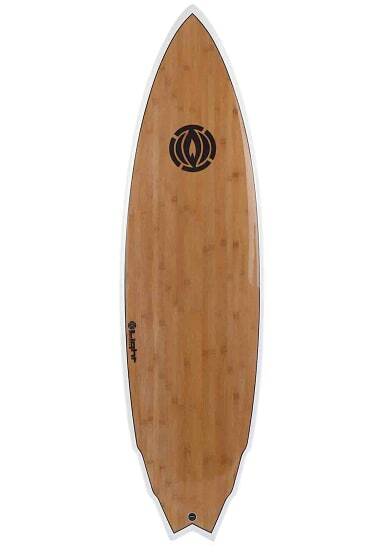 The Project from LIGHT SURFBOARDS offers ?pedal to the metal? top end speed and remarkably tight turning radius. The wide point is slightly back of center and the low entry rocker contributes to speed in the flat sections. The double winger tail creates a nice arc for tight radius. Combined with the all new epoxy bamboo flex the Project floats more than your average performance fish model for more easy paddling and wave catching abilities. Who should surf the PROJECT? Weather you are an experienced lead foot heavy weight surfer or a more lightweight beginner to intermediate this series will fit you well in small to head high surf conditions. 6\'6" x 21 1/4" x 2 5/8"